It started years ago; our first trip on a Welsh Railway was in TalyLlyn back in 2009. Nain and Taid packed a picnic and one Friday morning we drove all the way down to Tywyn to catch the Train. We loved it so much that we said we'd do all the others as well. We did the Fairbourne Railway in 2012 and in 2013 we rode the Welsh Highland Railway from Caernarfon to Porthmadog. 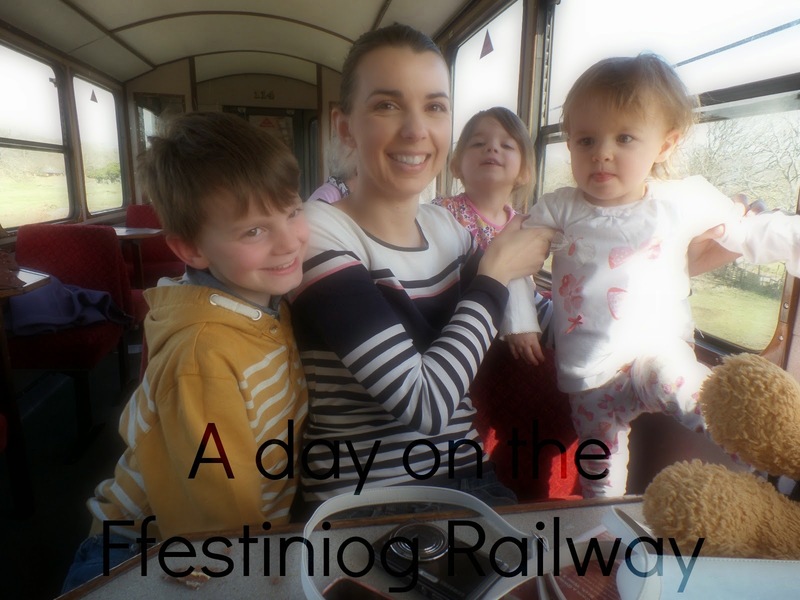 The only one left on our list was the Ffestiniog Railway which goes from Porthmadog to Blaenau Ffestiniog. We really couldn't have chosen a better day to make the journey, the weather was beautiful and the views either side of the train over the Cob we're amazing. We hadn't been on the train 10 minutes before Isabella announced it was time to bring out the picnic, Taidy treated us to a hot cup of tea to have with our lunch. It was quite windy when we got to Blaenau so we only got off the train to visit the toilet at the station. We had the whole carriage to ourselves on the way back to Porthmadog which may have been a good thing as the girls we're starting to get a bit fed up and Isabella wouldn't sit still. But it was a long journey, we'd caught the train at 11:35am and it was almost 3pm before the journey was over. I've made a little video of our journey too, I'm not great at catching the scenery as it goes by but you can see the kids enjoying their picnic. I know we've completed all the routes we wanted to, but I really wouldn't mind starting all over again.